This is the smallest stepper motor we've featured to date, but it still packs a nice punch in a compact, rectangular NEMA 11 form. 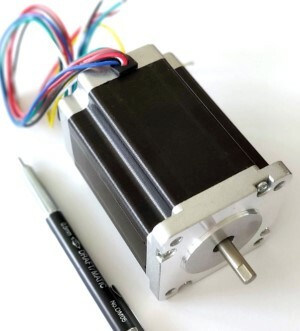 This NEMA 42 stepper motor is the largest and most powerful stepping motor we have carried to date. It features a super-sized 99mm frame and a whopping 1,586 oz-in of holding torque.